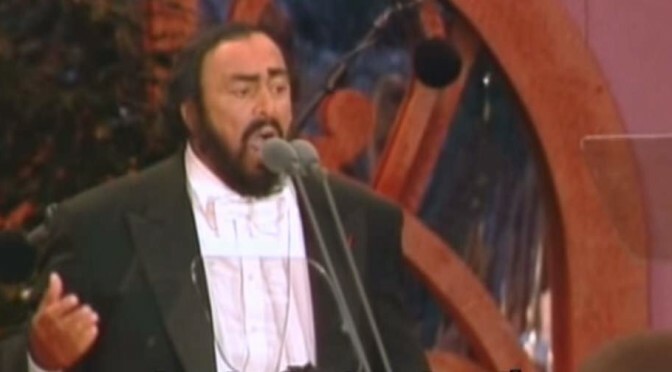 The legendary Italian tenor Luciano Pavarotti and the French light pop tenor singer Vincent Niclo sing the famous Neapolitan song “Funiculì, Funiculà”, with the chorus of Alexandrov Ensemble (widely known as the Red Army Chorus). 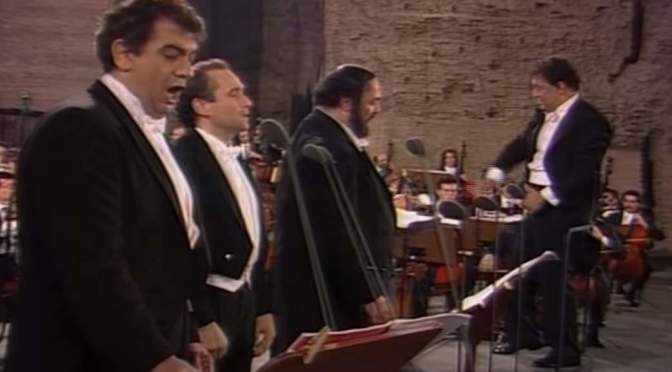 The Three Tenors, Plácido Domingo, José Carreras and Luciano Pavarotti sing the famous Neapolitan song Santa Lucia Luntana, written by the Italian poet, writer and musician E. A. Mario in 1919. 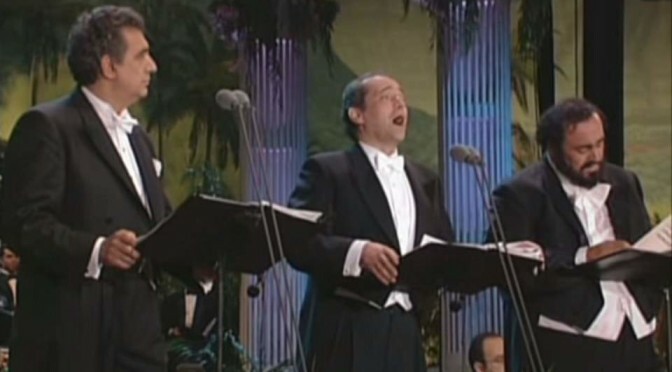 From the Three Tenor concert in 1994 in Los Angeles. 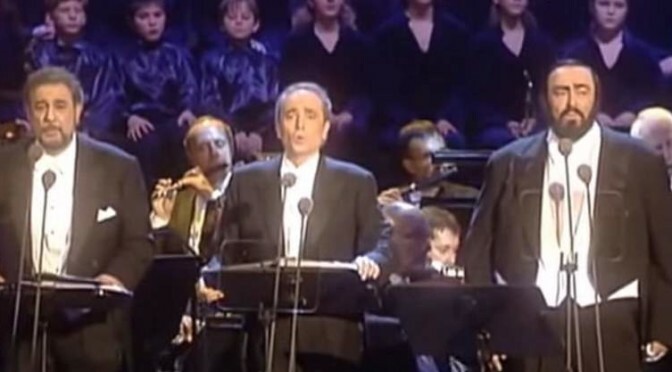 Spanish tenor Plácido Domingo sings the famous tenor aria (romanza) “Amor, vida de mi vida” from the zarzuela Maravilla. Salzburg, 2007. 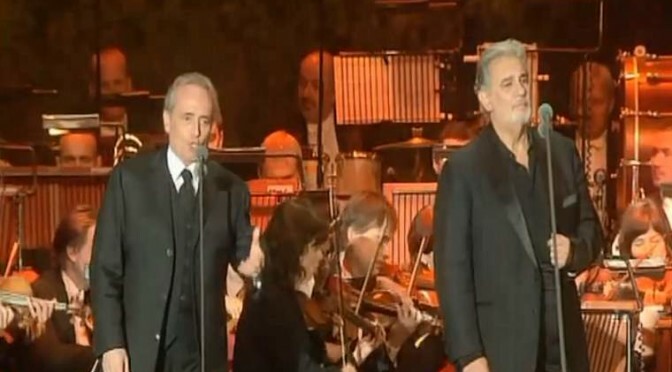 Plácido Domingo & José Carreras sings “Non Ti Scordar di Me (Don’t Forget About Me)”, for tribute to their friend Luciano Pavarotti. Prague Philharmonic Orchestra conducted by Eugene Kochn. 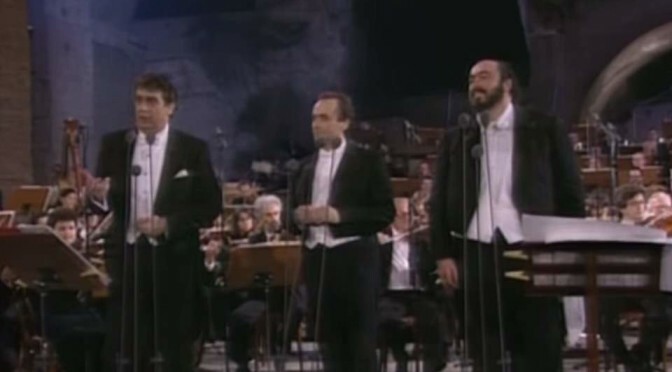 The Three Tenors (Luciano Pavarotti, Plácido Domingo and José Carreras) sing the famous Neapolitan song “‘O Sole Mio”. 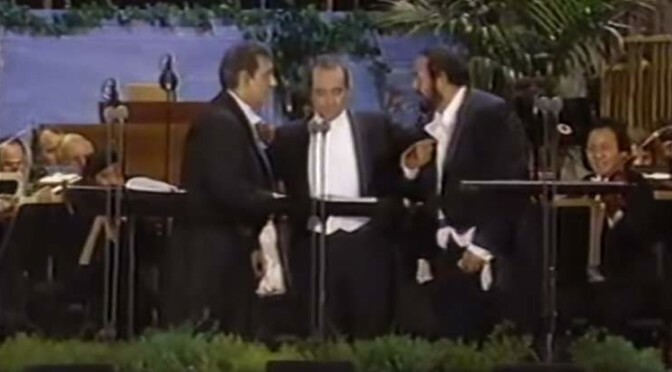 From the Three Tenors Los Angeles Concert in 1994. This song is not included in the concert DVD.